Los Angeles is a playground for arts and culture, and Grand Avenue is its epicenter. For the third year in a row, Grand Ave Arts invites all to explore, be curious, pop in, and choose their own adventures. More than ten participating cultural institutions present this free one-day cultural event on Grand Avenue between Temple and Sixth Street featuring performances, exhibitions, behind-the-scenes tours, and interactive, family-friendly activities. For more information and programming details, visit grandavearts.org. MOCA Grand Avenue will provide free admission to the galleries all day, NTS Radio programmed DJ sets on the plaza, HYPNO's instant moving picture VVVAN, and a sidewalk sale by MOCA Store. HYPNO, the instant moving pictures booth, will bring the HYPNO VVVAN to MOCA Grand Avenue. Capable of producing 1000’s of moving images per hour, the VVVAN is the fastest way to make and share culture moments from events both online and offline. Los Angeles is a playground for arts and culture, and Grand Avenue is its epicenter. 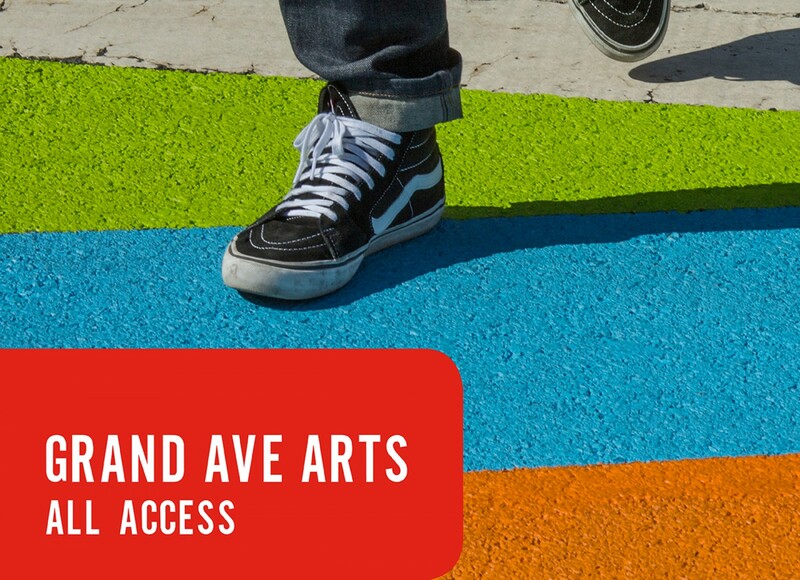 For the third year in a row, Grand Ave Arts invites all to explore, be curious, pop in, and choose their own adventures.